The Autonomous Aerial Cargo/Utility System (AACUS) is an Innovative Naval Prototype program with an FY12 start. The AACUS program explores advanced autonomous capabilities for reliable resupply/retrograde and, in the long term, casualty evacuation by an unmanned air vehicle under adverse conditions. 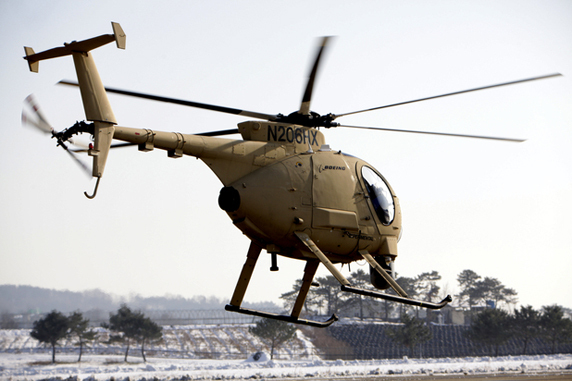 Key features of AACUS include a vehicle autonomously avoiding obstacles while finding and landing at an unprepared landing site in dynamic conditions, with goal-directed supervisory control by a field operator with no special training. Due to an open architecture approach for global management of mission planning data, AACUS technologies will be platform agnostic and transferrable to both new and legacy cargo unmanned aerial systems (CUASs). AACUS-enabled CUASs will rapidly respond to requests for support in all weather conditions, be launched from sea and land, fly in high/hot environments, and autonomously detect and negotiate precision landing sites in potentially hostile settings. Such missions could require significant obstacle and threat avoidance, with aggressive maneuvering in the descent-to-land phase. Unquestionably, reliability is the key to the success of this technology. Posted in UAV and tagged Aacus, autonomous, Aviation, Business, Cargo, Federal Aviation Administration, Military, Office of Naval Research, ONR, Ravich Law Firm, System, Technology, Timothy Ravich, United States, Unmanned aerial vehicle, Utility on August 20, 2013 by Timothy M. Ravich.